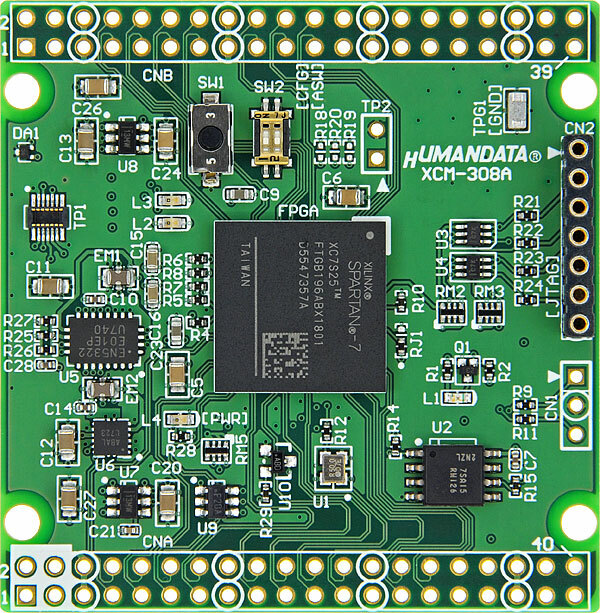 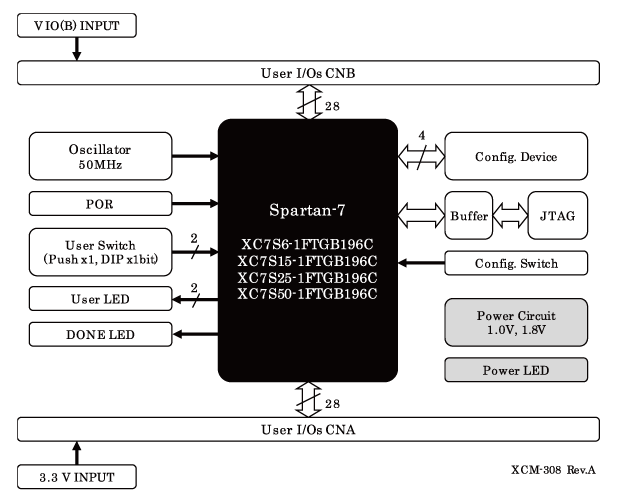 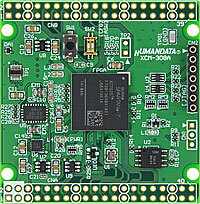 XCM-308 is an evaluation board equipped with a XILINX's high performance FPGA, Spartan-7 series (FTGB196 package). XCM-308 has voltage regulators, an oscillator, user LEDs, switches and a configuration device on its compact size board. 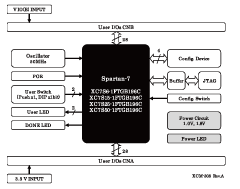 Only one 3.3V single power supply is needed. 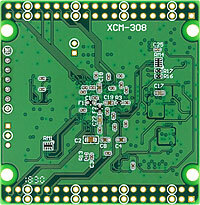 There are 56 user I/Os divided into two Vcco groups.